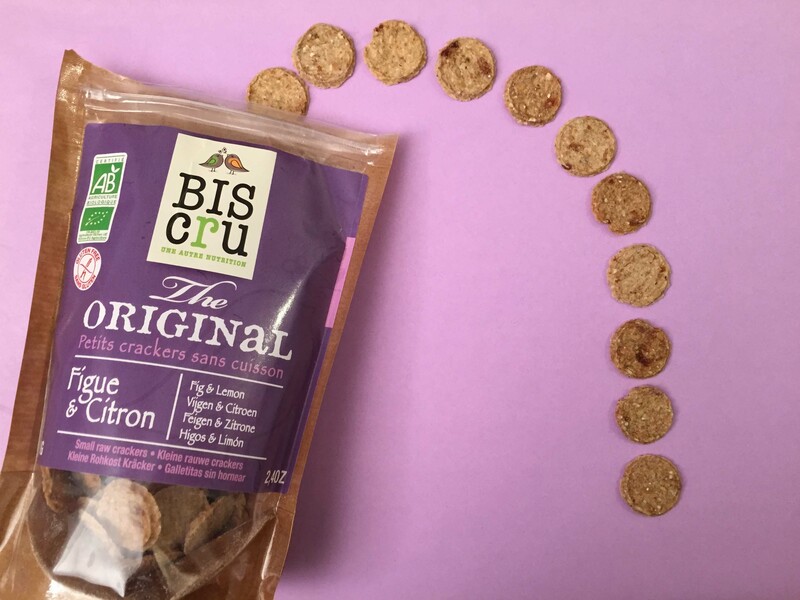 Biscru is a brand that I like very much: it is all about healthy and delicious organic, gluten free, vegan, raw crackers made of fruit and vegetable, mixed with a sprinkle of spice here and there, and much love and passion to make them. Here I tasted fantastic figue + lemon crackers, so good! The flavours are many like tomato+paprika, black olives+onions, zucchini+curry, banana+blueberry, cocoa+sesame… frankly I would like to buy them all. Biscru has also no preservatives and no added sugar. More reasons to try them if you find them in stores. I also like the story of the brand, I invite you to read it on their website, you might like Biscru even more…!